It straw color announces a nose with a bouquet of yellow fruits and cookies. 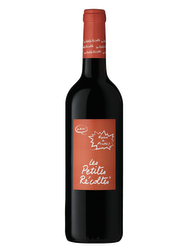 The palate is balanced and straight with a defined character and a finish on light melting bubbles. Etienne Nicolas had deeply impacted the Maison Nicolas through its inner innovative drive. He was the one who started the renown “Nectar” saga, emphasizing a delivery man carrying two “bouquets” of bottles. 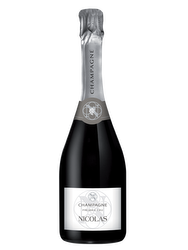 This name with a digital connotation is a tribute to the one who contributed to the success of Nicolas' cellars, Etienne Nicolas, by making innovation and savoir-faire the brand’s DNA. Viticulture: Several crus are selected for this Champagne. 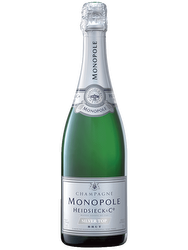 Vinification: Elaborated through the Méthode Champenoise, the blend is mainly made of Pinot Meunier in order to emphasize a fresh and fruit-forward aspect.